Sweeping security, justice, labour and human rights reforms far exceed BICI recommendations, Bahrain's Cabinet heard yesterday. 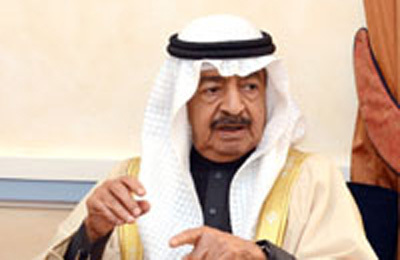 The session was chaired by His Royal Highness Prime Minister Prince Khalifa bin Salman Al Khalifa, said a report in the Gulf Daily News (GDN), our sister publication. The government defended its record in implementing the Bahrain Independent Commission of Inquiry (BICI) recommendations in a statement marking the launch of a periodic survey on progress. It cited "the sweeping reforms which covered security agencies, the judiciary, Public Prosecution, labour and information policies, in addition to education and human rights." In other developments, the Cabinet heard that Bahrain is seeking to achieve more efficiency in sending Bahrainis abroad to undergo treatment. A national committee will be set up to draw up strategy which would unify procedures between the Health Ministry, the BDF Hospital and the King Hamad University Hospital. His Royal Highness Prince Salman bin Hamad Al Khalifa, Crown Prince, Deputy Supreme Commander and First Deputy Premier, attended the session at Gudaibiya Palace. The Minister of State for Defence Affairs and the Supreme Council for Health president gave a presentation, updating the session on current procedures. The draft project was referred to the ministerial committee for legal affairs for more scrutiny. The costs of sending patients abroad for medical treatment soared to BD27 million ($69.9 million) last year. Government's efforts to fast-track major projects and avert delays are paying off.